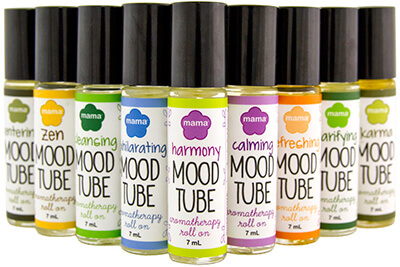 Each scent blend is designed to help you face any atmosphere with mindfulness and a level head. You can also use to scent your skin, though the scent doesn't last as long as an actual perfume (perfumes use alcohol as a fixative). Due to their compact size, our Mood Tubes can travel with you wherever you go - whether it is the yoga mat, the office or even to bed. For a bit of bliss, simply remove the lid and use the roller to apply blend to wrists, pulse points or temples.